Subject is exactly " Newspapers--United States"
An issue of The Syrian World published April 25, 1935. The issue is fully keyword searchable. 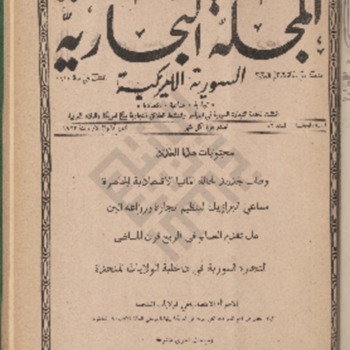 An issue of The Syrian World published April 18, 1935. The issue is fully keyword searchable. An issue of The Syrian World published April 11, 1935. The issue is fully keyword searchable. An issue of The Syrian World published April 4, 1935. The issue is fully keyword searchable. An issue of The Syrian World published March 28, 1935. The issue is fully keyword searchable. An issue of The Syrian World published March 21, 1935. The issue is fully keyword searchable. An issue of The Syrian World published March 14, 1935. The issue is fully keyword searchable. An issue of The Syrian World published March 7, 1935. The issue is fully keyword searchable.